Now fully booked. Please email [email protected] to join the waitlist and to hear of future retreats. A Co.Wicklow weekend retreat in January 2019 to experience singing, sisterhood, sustainability, self-care and spirituality. The perfect Christmas gift to yourself or a women in your life who needs to nurture herself. This is a weekend eco-retreat for women, full of chanting, harmony songs from around the world, improvisation, chakra toning and healing through the voice all in a beautiful sustainability centre, Sli Na Bande, in Newtownmountkennedy, Co. Wicklow. We will enjoy group harmony singing and chanting, voice and sound healing work, movement & breath work, walks in nature and home-cooked vegetarian food. As well as voice work and singing Rachel will teach various holistic self-care techniques from the Capacitar tradition, such as tai chi style movements, head holds, polarity work and mindfulness exercises. You will leave thoroughly uplifted yet profoundly relaxed after a healing weekend of singing and connecting with like minded women. Switch off from daily life and enjoy nature, creative expression, good food and conversation. Ethically and sustainably produced vegetarian meals will be provided by Sli Na Bande. Gluten, diary free and vegan diets catered for. 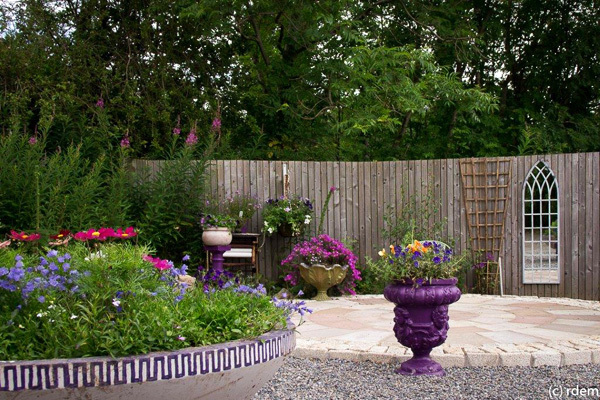 Venue: Slí na Bandé, Kilmurry, Newtownmountkennedy, Co. Wicklow. Situated far from busy roads, and bordered by a forest on one side and views of the Irish Sea on another, Slí na Bandé is a sustainable living project and centre, beautifully suited to finding peace and renewal. The accommodation is clean, comfortable, and homey. Rooms exterior to the house are equipped with wood-burning stoves and space heaters. The Back Chalet, with 2 single and 4 double beds, has a compost toilet available for the guests. A booking deposit of €100 is required to hold your place. This is only refundable if the retreat is cancelled. You can pay by PayPal here or contact me to enquire about sending a cheque or making a bank transfer. If you are buying this retreat as a present, contact me and I can email or post the voucher to the recipient.